Don't Spend a Fortune on Home Toilet Repair and Plumbing Service in Irvine, CA– Get Fast and Affordable Clogged Toilet Repair and Replacement Service. If you are tired of dealing with frequently clogged toilets in your home, it’s time to call Irvine Plumbing and Rooter Pros. When you constantly need to reach for the plunger, this is a sign that something isn’t right. Many people blame their toilet paper and, yes, sometimes their spouses, for frequent clogs, when the real source of the problem may be a tree root wrapped around the sewer line or poor water pressure. Our plumbers understand that clogged toilet repair is complex. When a clogged toilet starts backing up into your sink or bathtub, you need plumbing service in Irvine, CA, immediately. This is a scenario that is quite common for bathrooms on the first level of the home because this is the lowest drainage point of the plumbing system. Living with a stopped-up toilet that is backing up in your bathtub or sink is not healthy. This is waste water and it can lead to illness if not addressed right away. Also, if your toilets smell for no reason, this is another sign that something serious is happening within your plumbing system. More likely than not there is a problem with the sewer line. If you don’t address this right away, sewer gases can build-up in your home. At Irvine Plumbing and Rooter Pros, we’re available around the clock to address your concerns and investigate any problem. Our plumbing experts use video equipment specially made to peer deep inside your home’s plumbing system to pinpoint the exact location of blockages that are making it difficult for you to flush your toilet. 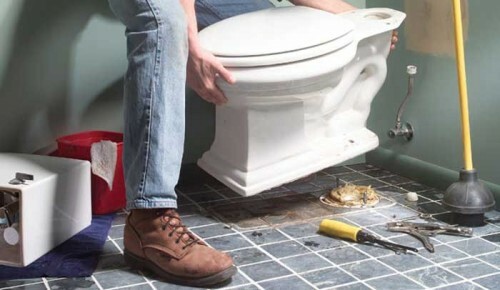 This special equipment is a cost-effective and timesaving way to make toilet repairs. In addition to video camera inspections, our plumbing pros also use water jetting to remove tough clogs. This equipment is designed to clean the insides of your pipes, leaving them as good as new and eradicating stubborn clogs. Whether you have a broken bowl, an outdated toilet, or you’re just interested in upgrading your commode, we can help you find a replacement model that is affordable and energy-efficient. From low-flow models to heated seats and automatic flushing features, there are a number of options available to homeowners. Once you’ve chosen a new toilet, let us help you install it. Our professional toilet installation comes with a comprehensive warranty and is guaranteed to be done correctly. Leaks, cracks, and other problems can pop up if the person installing the toilet doesn’t know what they’re doing. When you choose to work with Irvine Plumbing and Rooter Pros, that will never be an issue. For a complete list of all our plumbing services or to schedule an appointment with one of our licensed plumbers, give us a call today.